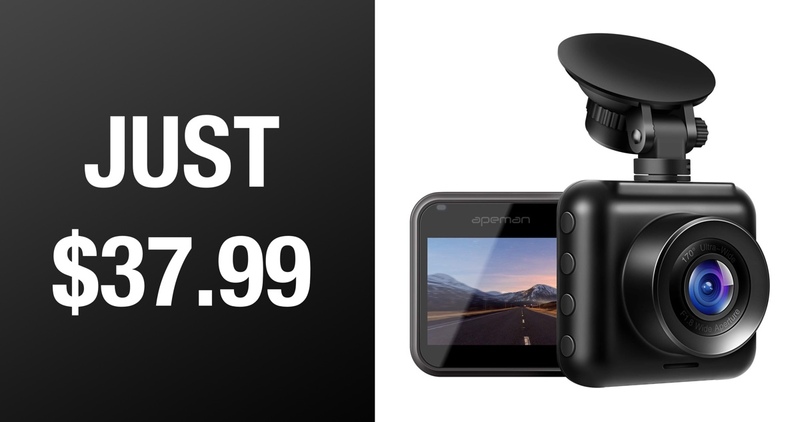 We are extremely happy to be able to offer you this wonderful APEMAN 1080p dashboard camera for just $37.99. That means it comes with a whopping 20% discount but doesn’t skimp on features or functionality as it looks to bring back some confidence to your driving. This gorgeous looking piece of kit is going to instantly bring back peace of mind when you are in your vehicle. First and foremost, it’s a beautiful looking piece of product design that is going to immediately blend in with your vehicle. Regardless of the vehicle that you own. 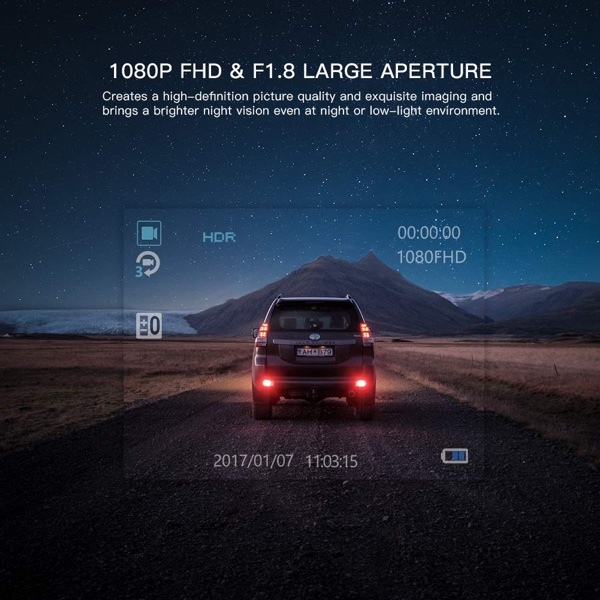 It offers full 1080p high-definition recording and comes with a large 170-degree viewing angle to ensure that all of the roads are captured and that none of the potential action is missed. This should help reduce blind spots and give you perfect clarity of your journey. The hardware is also equipped with an advanced sensor and f1.8 aperture that gathers more light and removes the need for additional sensors but still allowing it to perform wonderfully in low-light conditions. In short, even in the dead of the night, you are going to get sharp, clear images from your journey. The kit has built-in G-sensors that means it is capable of automatically recording and capturing footage based on a collision or any type of unexpected movement. This means that you don’t need to be physically around to start recording footage. There are loop recording and motion detection features. It comes with the viewfinder on the hardware to be able to see what’s in sight but also with a screensaver to ensure that you aren’t distracted whilst driving. It also comes with a small footprint and a lightweight design that is going to allow it to remain out of sight and out of mind when it is installed in your vehicle. All-in-all, it’s a wonderful purchase, especially at this ridiculously low price. Given the fact that this is a limited time offer, we recommend grabbing it right now to lock in the maximum discount. This is showing up at a price of 49.99 when I click the link. Is a coupon code needed? Yes. The code is in the original post. I missed it next to the store link, I was looking in the paragraphs. My bad. But now I try to use that code (UMR3PFI5) and it says it is not valid. I am not sure why it is not working you. It did for me.